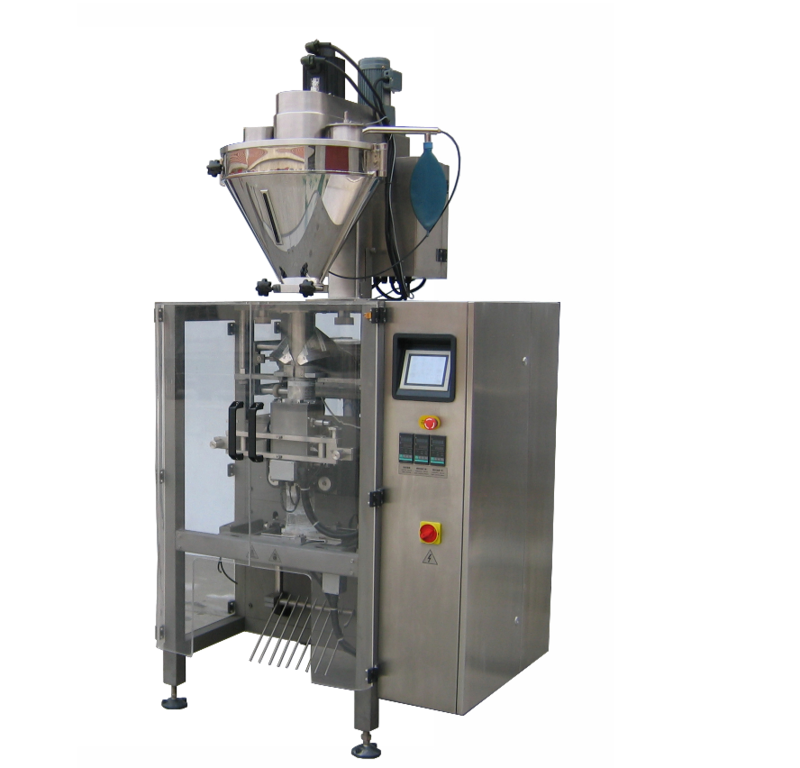 The machine can automatically complete bag-forming, weighing, dosing, gas-purging, sealing, code printing, cutting. It is applicable for packing powder product, for instance, milk powder, monosodium glutamate, solid beverage, icing sugar, dextrose, feed, coffee, solid medicament, powdery & grainy additive, dye, etc. Tool-free for size parts change. Recipes can be saved for long term production. Working & operation status shown on touch screen, which results in easy operation. Cutting position & web-tracking can be adjusted through touch screen during the continuous running, so there is always good appearance in long-seal & cross-seal. Multiple bag types are available, for instance, pillow bag, stand-up bag, carrying grip bag, etc. The closed machine structure, leads to low noise level and anti-dust, and is especially suitable for packing dusty product. Auger filler changeable for different powder products. Weighing feedback tracking device optional.